Charlton Warren wants to make one thing very clear: the last play in the 2017 Florida-Tennessee game WAS NOT a Hail Mary. Warren had a front row seat for the play. He was the defensive backs coach for Butch Jones and the Tennessee Volunteers in 2017. 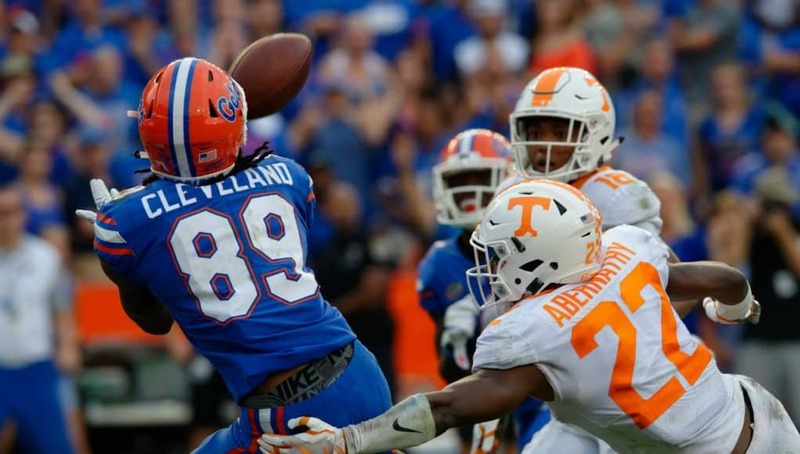 It was his unit that had the breakdown that allowed Tyrie Cleveland to get behind the secondary and give Florida an improbable win in the Swamp. He also made clear that he didn’t want to talk about 2017 other than answering that it was “very deflating” on the other sideline and made for a “very” long trip home before asking that the interview get back to the 2018 game and Florida. That’s kind of been the general answer this week in Gainesville. Dan Mullen said he hasn’t watched the 2017 game because “both teams have new coaching staffs.” On the SEC teleconference Wednesday Jeremy Pruitt echoed that statement. Mullen does say that he’s seen the play as a highlight but didn’t spend any time trying to glean information from the game as a whole other than one thing that stood out. It’s true. 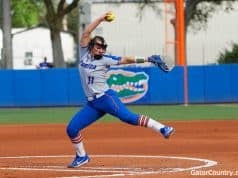 Florida led 13-3 after a C.J. Henderson pick-six to start the fourth quarter and then 20-10 with just 5:13 left to play before Tennessee tied the game at 20 with less than a minute to go. Florida got the ball back and Feleipe Franks found C’yontai Lewis for three yards then carried it for six more on his own. Mark Thompson ran for three and a first down before Florida called a timeout. Florida had one more timeout and Eddy Pineiro had range for days, so Warren is right. Florida didn’t dial up a Hail Mary, rather a play designed to get into field goal range, or at least give Pineiro a chance at, perhaps, a 60-yard field goal. Instead Cleveland got behind Warren’s secondary and the rest if Florida Gators history. One half of a moment that will live on in the Florida-Tennessee rivalry, Franks says it’s probably the greatest moment he’s had on the field in his life. Florida will take on Tennessee Saturday night at Neyland Stadium at 7 pm on ESPN. 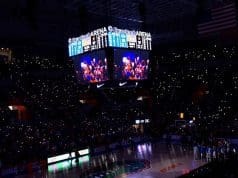 Florida’s has blasted “Rocky Top” all week to prepare for more than 100,000 Tennessee fans that will have had all day to drink and tailgate and get ready to give the Gators hell. 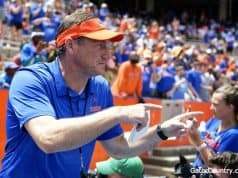 Mullen and the Gators hope the outcome this weekend is the same as in 2017. They just don’t want to have top hope that a last second heave is the way they win again.